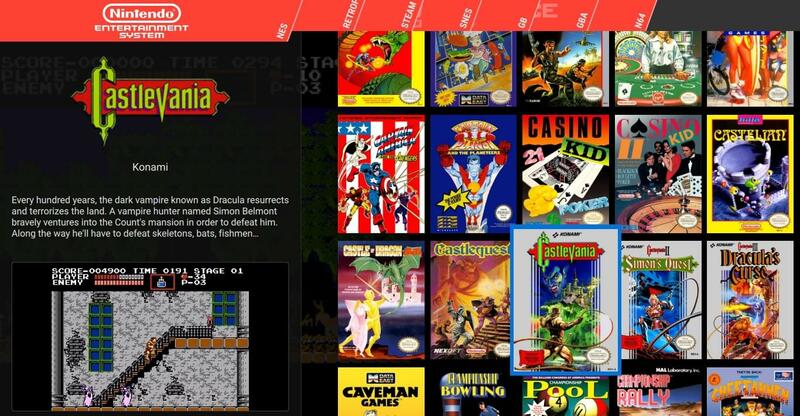 Pegasus is a graphical frontend for browsing your game library (especially retro games) and launching them from one place. It's focusing on customizability, cross platform support (including embedded devices) and high performance. Instead of launching different games with different emulators one by one manually, you can add them to Pegasus and launch the games from a friendly graphical screen from your couch. 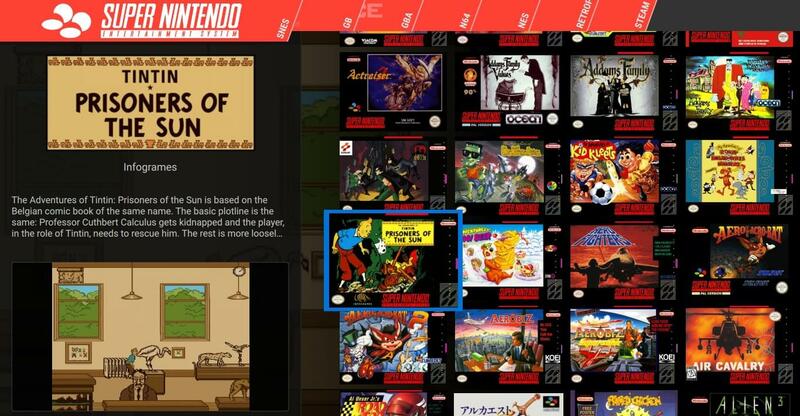 You can add all kinds of artworks, metadata or video previews for each game to make it look even better! *Note: no games or assets are included due to legal reasons. With additional themes, you can completely change everything that is on the screen. Add or remove UI elements, menu screens, whatever. Want to make it look like Kodi? Steam? Any other launcher? No problem. You can add animations and effects, 3D scenes, or even run your custom shader code. Pegasus can run on Linux, Windows, Mac, Raspberry Pi, Odroid and Android devices. 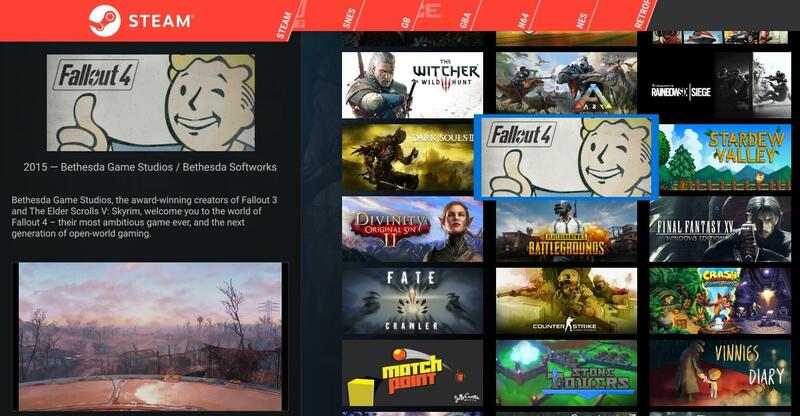 It's compatible with EmulationStation metadata and gamelist files, and instantly recognizes your Steam games! Pegasus is completely free and open-source, but if you wish, you can support the development with donations. Feel free to name the price you think is fair (or scroll down for the downloads). Certain video formats may require installing separate codecs or a codec pack (eg. K-Lite). X11, GStreamer 1.x, Fontconfig, OpenSSL 1.0.x, Policykit (optional). All of these usually come preinstalled on most desktop distros. Please see THIS PAGE for more details about the dependencies and support of other distributions. Pegasus is also available from the RetroPie setup script, under the Experimental section. Please see THIS PAGE for more details about the dependencies. Just extract and run the version for your device (you may see Illegal instruction errors if you try to launch the wrong release). Note that the system may not allow running programs from USB sticks or Windows drives. First you'll need to enable installing APK packages, which can be done under Settings → Security → Unknown Sources, turned on. Then open the APK file with any file manager app. Note that if you have an active full screen app (eg. screen shade), Android might require you to disable it for the time of the installation (for security reasons). All trademarks, service marks, trade names, trade dress, product names and logos are property of their respective owners. All company, product and service names used in this product are for identification purposes only. Use of these names, logos, and brands does not imply endorsement.